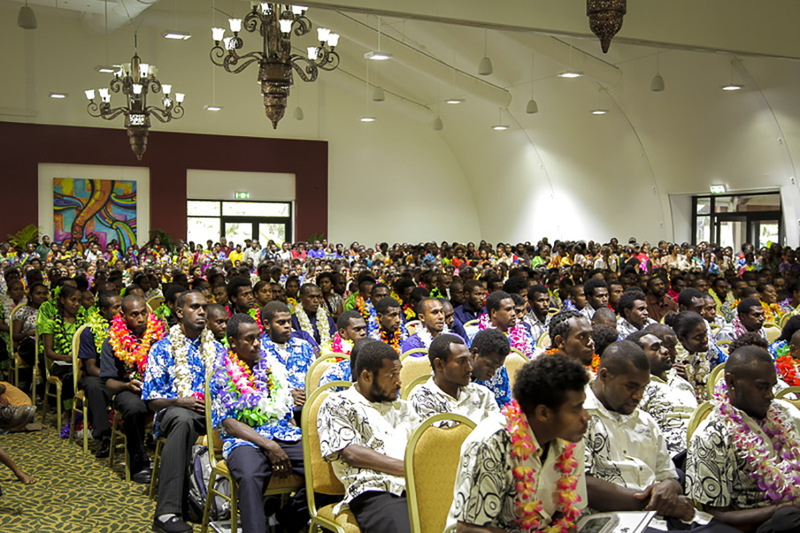 Situated on 75 acres of exotic tropical gardens on the edge of Erakor Lagoon in Port Vila, Vanuatu. 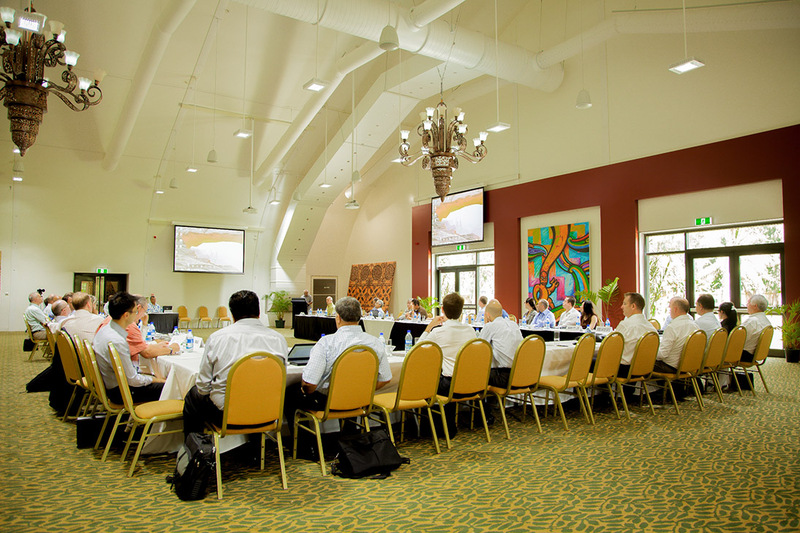 Their existing conference space was too small to meet their growing needs so they turned to Sprung Structures. There were severe environmental code requirements which includes typhoon wind loads of 125 mph as well as seismic concerns in the area. This is a 90’ wide x 120’ long fully insulated Sprung structure. A specially designed temporary dividing wall can change the space to be attractive, climate controlled, smaller conference rooms. 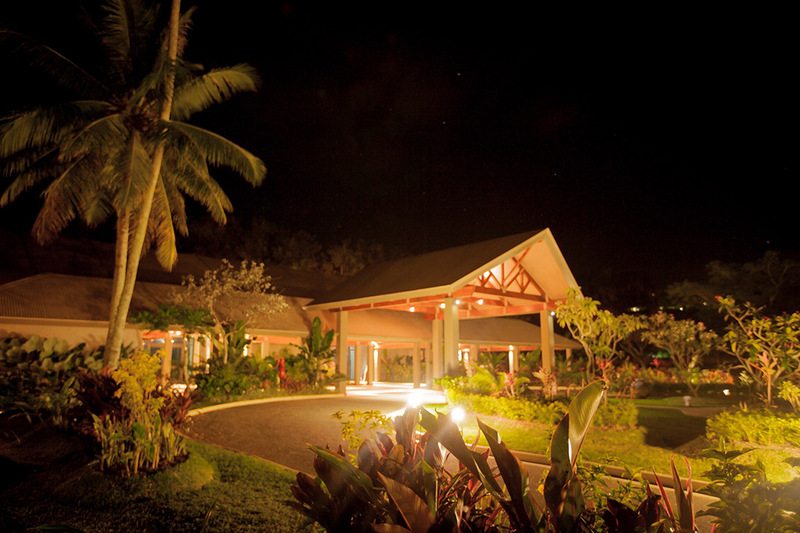 Warwick Le Lagon Resort & Spa is an enchanting vacation destination that oozes South Pacific charm. 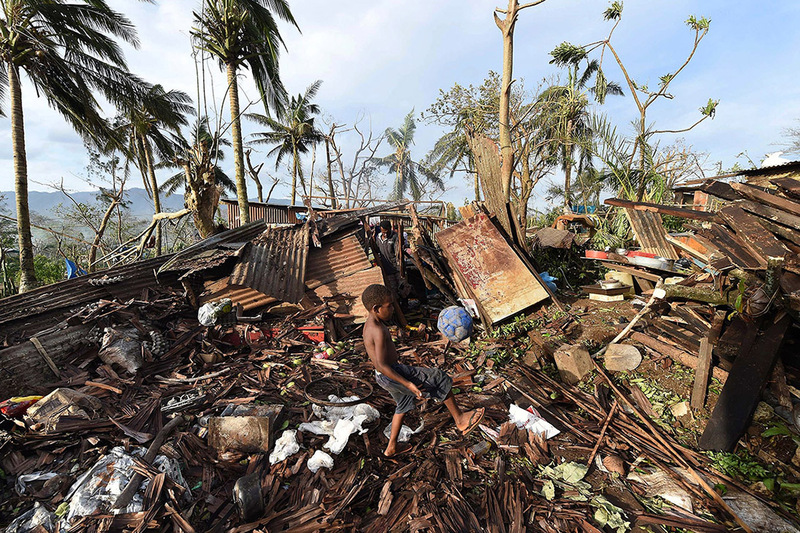 On March 13, 2015 Cyclone Pam hit Vanuatu with winds of up to 250 kph (155 mph). Cyclone Pam was a category 5 storm. 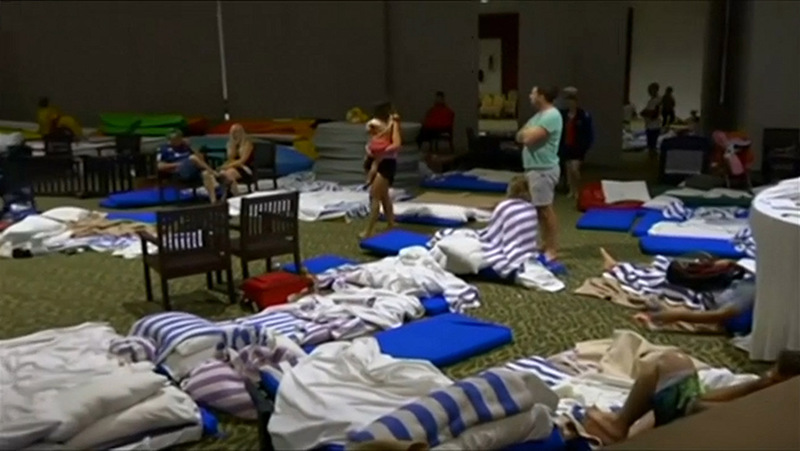 Warwick Le Lagoon Convention Center was used as a shelter throughout the category 5 cyclone and sustained minor exterior damage. 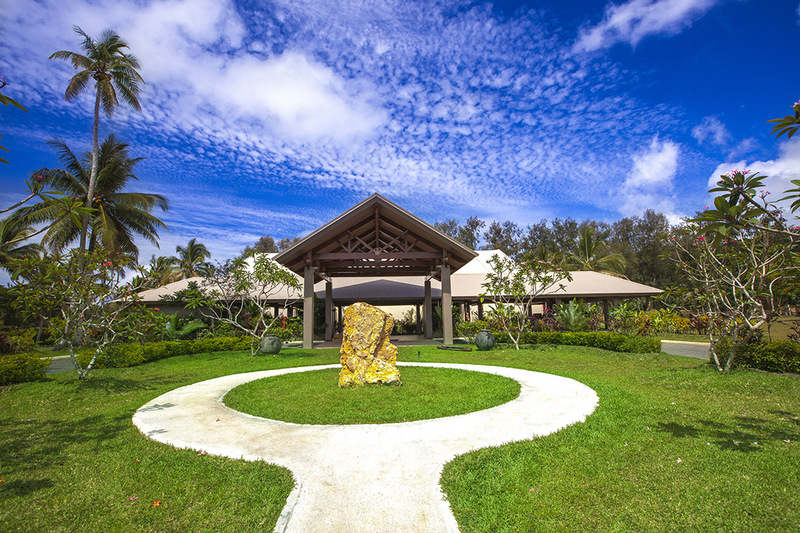 Situated on 75 acres of exotic tropical gardens on the edge of Erakor Lagoon in Port Vila, Vanuatu, Warwick Le Lagon Resort & Spa is an enchanting vacation destination that oozes South Pacific charm. 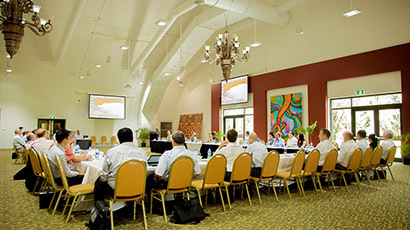 With an upcoming South Pacific and North African conference planned for the resort, it was determined that their existing conference space was too small to meet their growing needs. After an extensive search for an immediate solution, Sprung was selected to supply an engineered structure that could be constructed over a 3 month schedule and meet the severe environmental code requirements which includes typhoon wind loads of 125 mph as well as seismic concerns in the area. 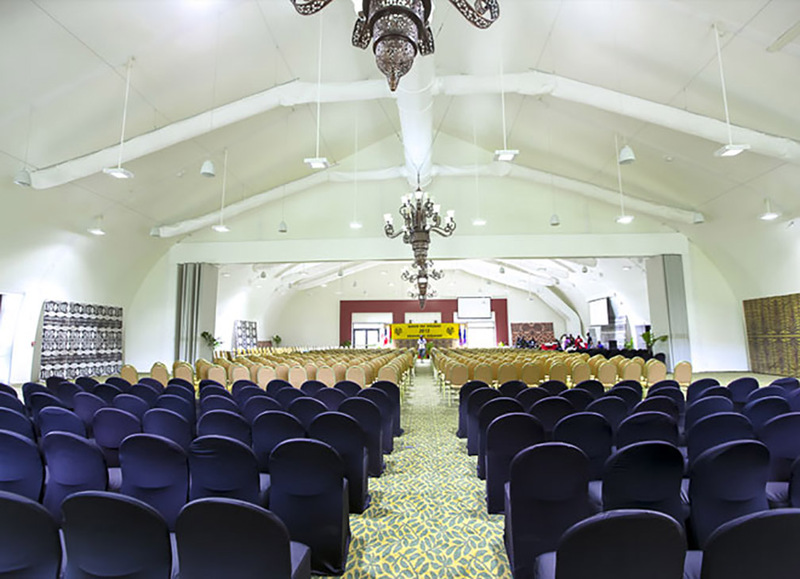 This 90’ wide x 120’ long fully insulated Sprung structure includes a specially designed interior separation dividing wall providing an attractive climate controlled conference center. This was an extremely challenging project as all of the erection equipment and product had to arrive by container to the island. When time is of the essence Sprung stands alone in the manufacture and supply of engineered tensioned membrane structures. 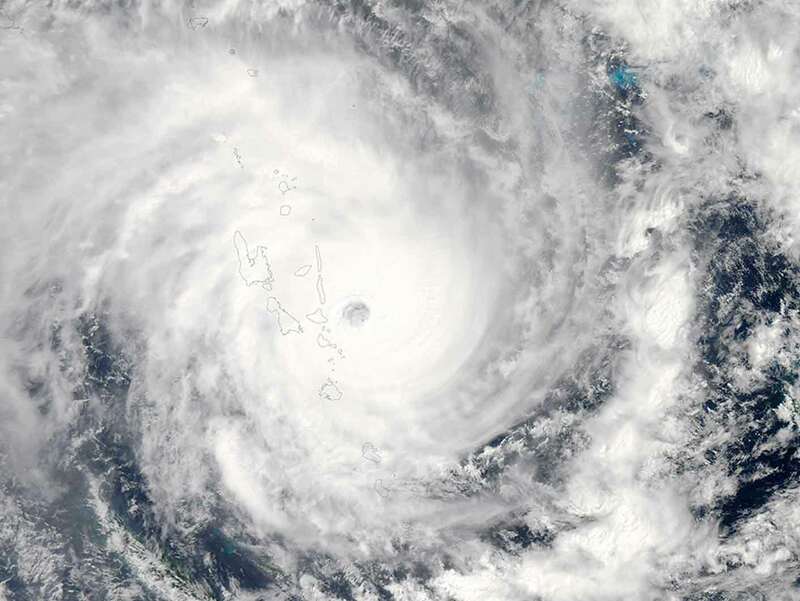 On March 13, 2015 Cyclone Pam hit Vanuatu with winds of up to 250 kph (155 mph). 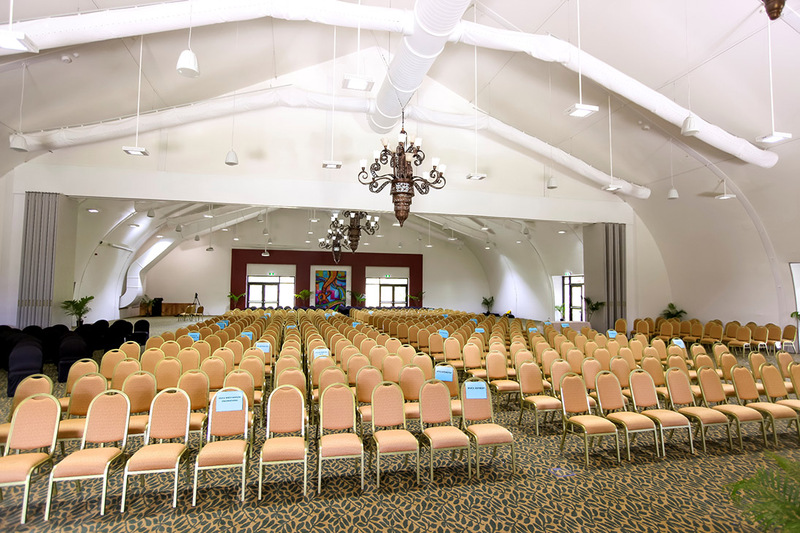 Warwick Le Lagon Convention Center was used as a shelter throughout the category 5 cyclone and sustained minor exterior damage.